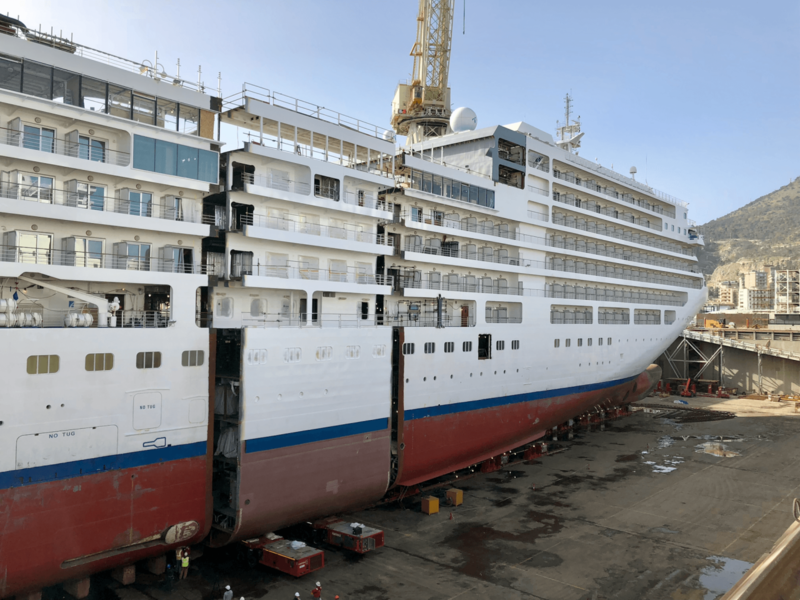 Between March 5 and May 1 Silver Spirit underwent an extensive dry dock renovation at the Fincantieri Shipyard in Palermo, Italy. 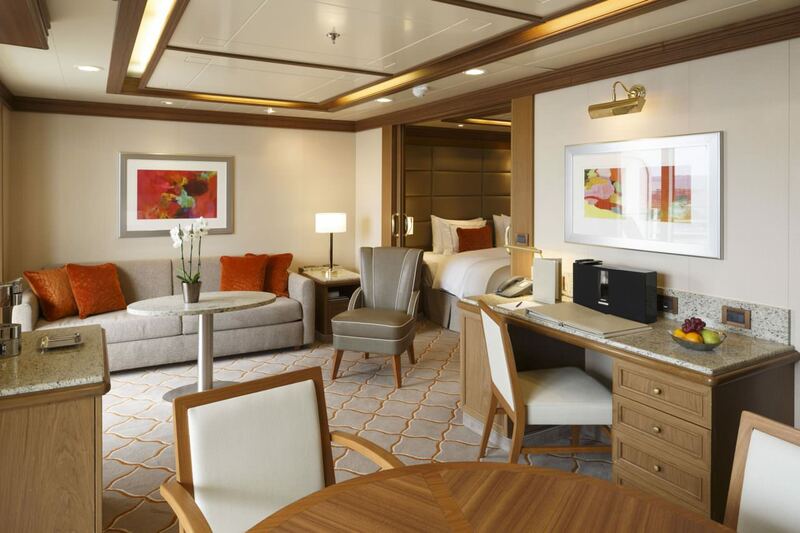 The ship was cut in half and a prebuilt 49-foot (14.9-meter) midsection was inserted, providing increased space and enhanced amenities for Silversea’s guests. 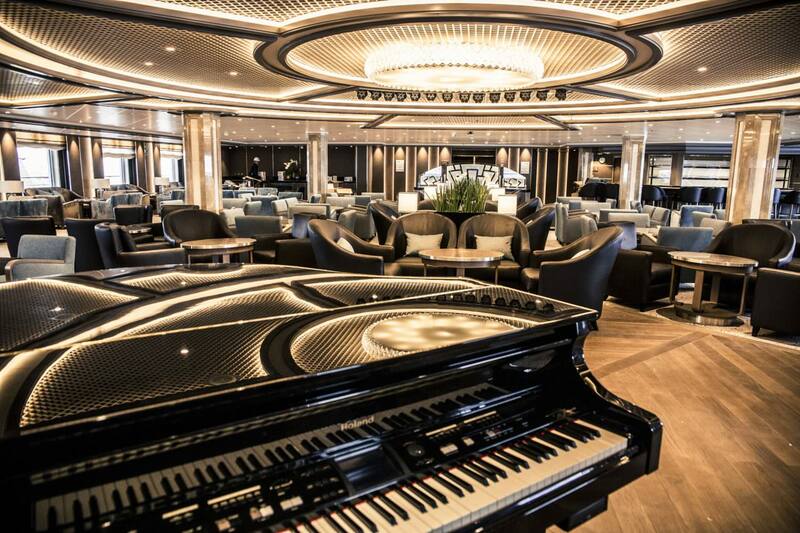 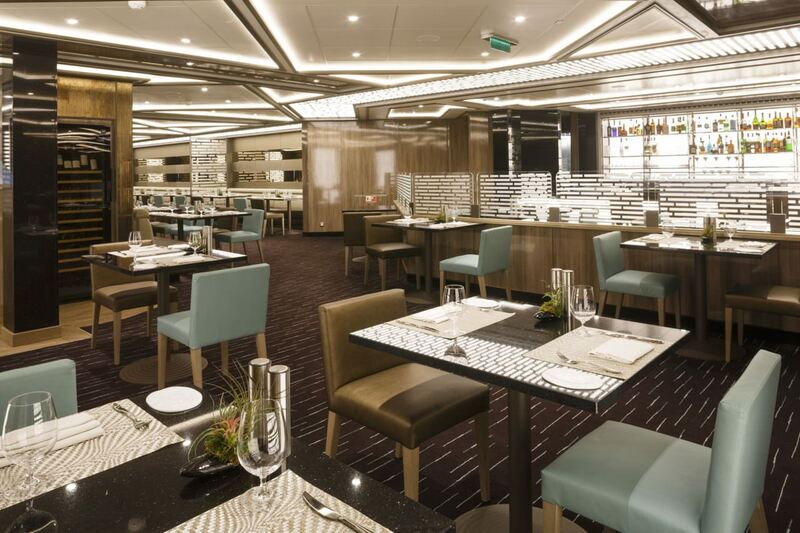 The latest pictures depict the ship’s transformation, which took inspiration from Silversea’s flagship, Silver Muse. 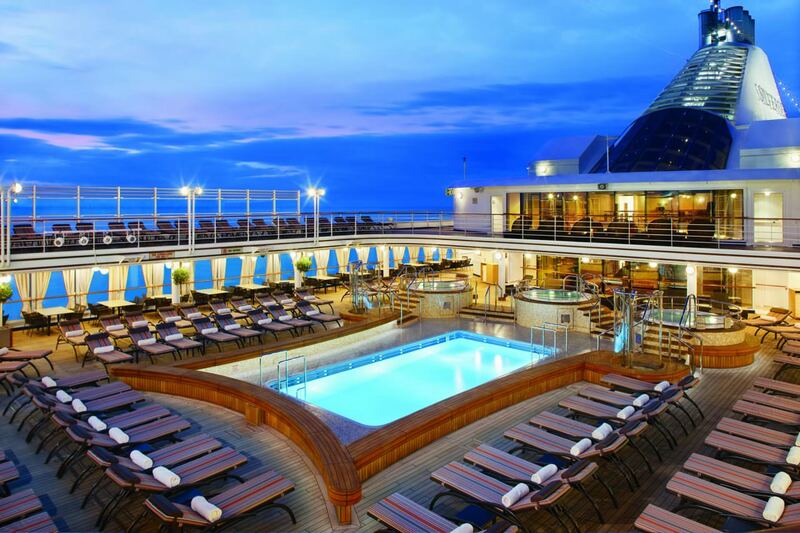 Most discernible on the ship’s exterior is the enlargement of the pool space on deck nine. 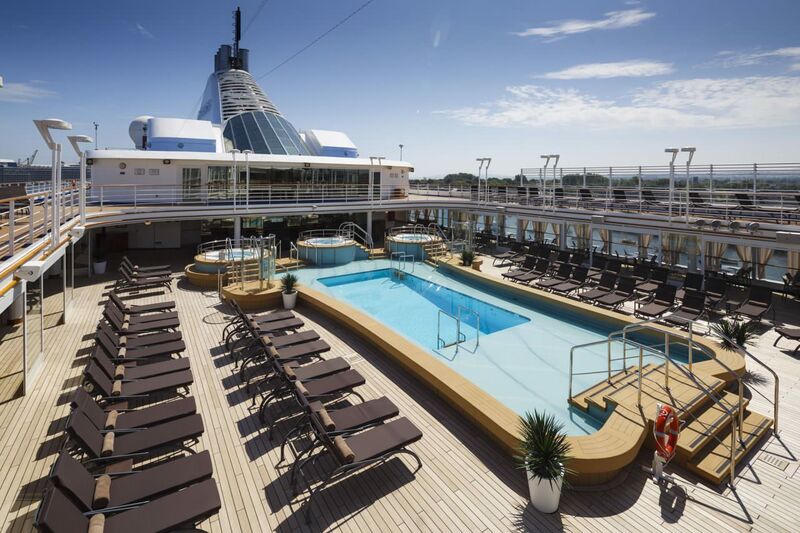 A result of the lengthening, there is now a large beach area and more room for guests to relax on the sun deck. 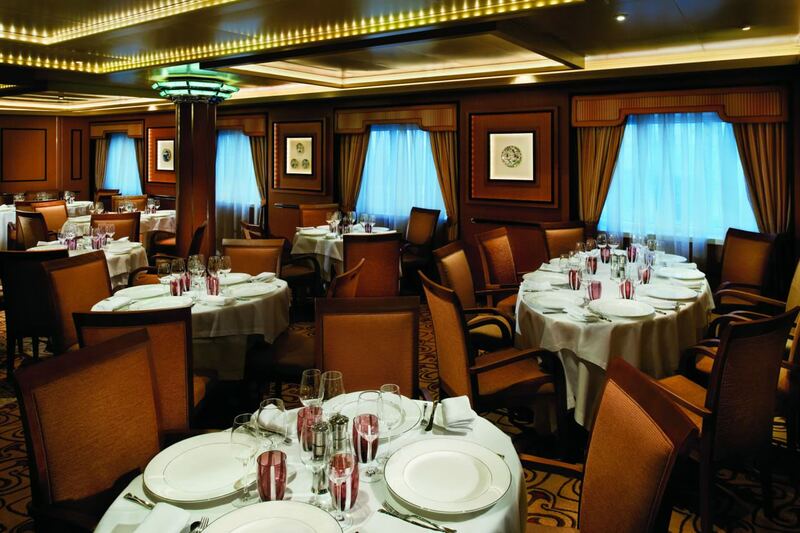 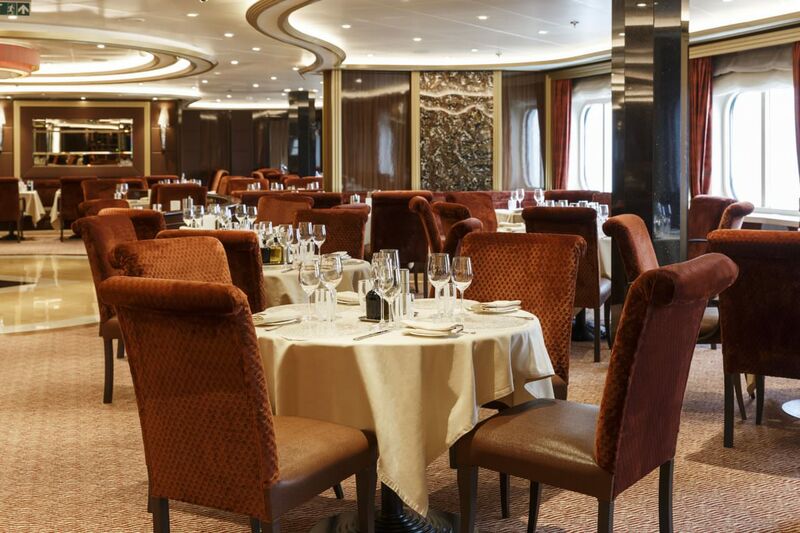 Besides implementing décor enhancements throughout the ship, the renovation also improved the layout of Silver Spirit’s public spaces, including the reformatting of her dining options to an 8-restaurant layout, with the addition of Atlantide, Indochine, Spaccanapoli and Silver Note – as on Silver Muse. 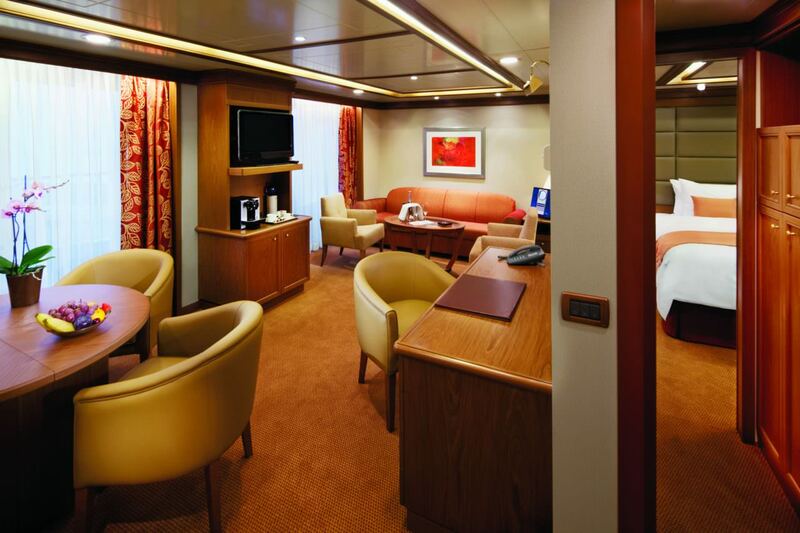 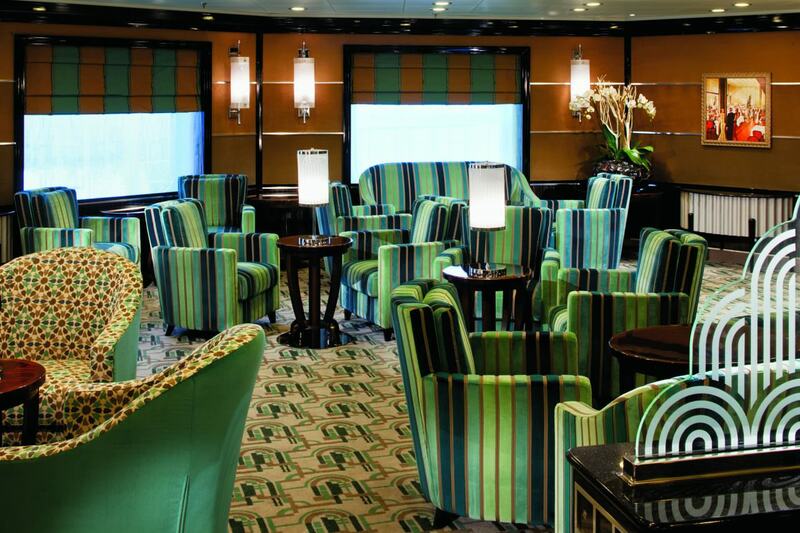 Among the ship’s new amenities are the Zagara Spa, Tor’s Observation Library, and the Dolce Vita Lounge. 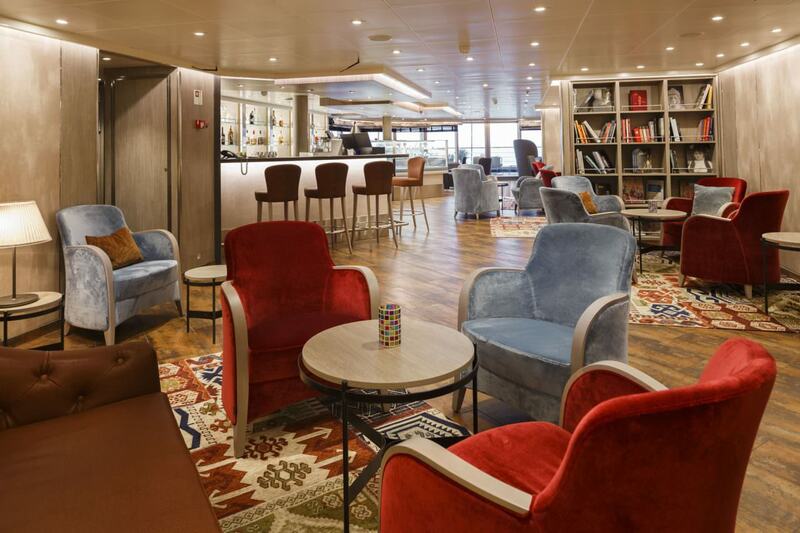 Also new to Silver Spirit, the Arts Café is a space that offers guests the chance to enjoy art exhibitions and a selection of reading material.